Does this sound familiar to you? You get a new message on your iPhone, and it's also singing and appearing on your Mac. That happened to me. Well, I love using the iMessage app to send and receive text/visual messages with friends without paying a cent to the carrier. But sometimes it's a bit annoying to see these messages popping up on my Mac after showing on my iPhone. 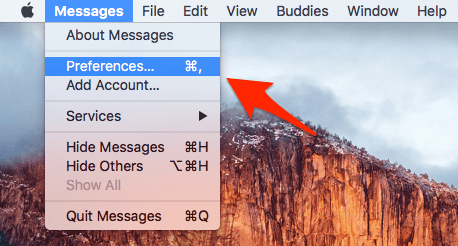 In this article, I'm going to show you a few simple tricks to turn off iMessage on Mac or stop these messages from showing up on your desktop screen. 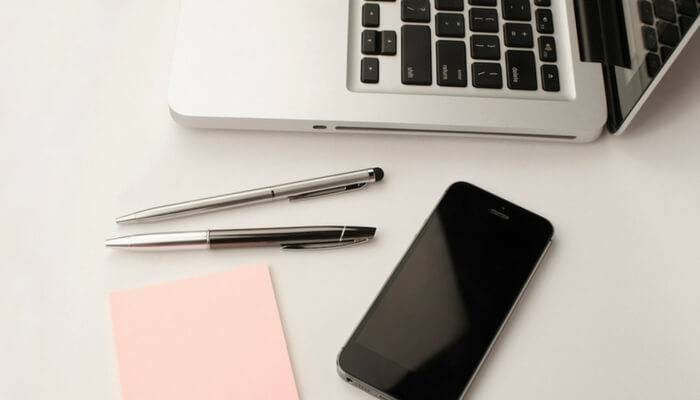 Bottom line — stay away from distractions and be more productive when you work on your Mac. Note: there are three different ways to get this done. Depending on your personal preferences, you may find one method works better than another. Anyway, I'm sharing all of them, so you decide which one is best for your situation. 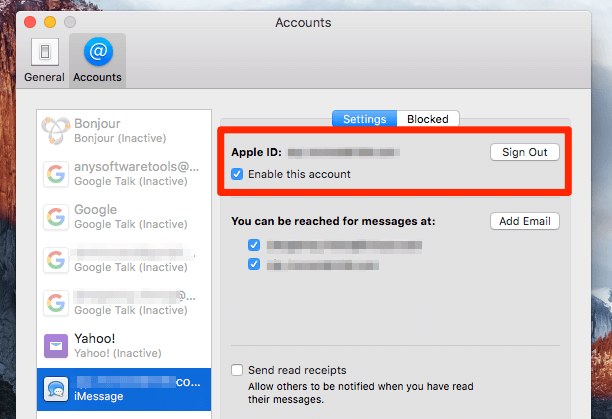 Ideal Use: when you're using a shared Mac machine where several Apple ID emails have been added to the Messages app (i.e. iMessage). And you only want to stop one or several. 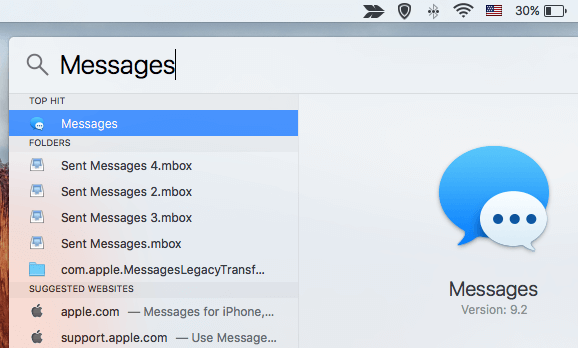 Step 1: Open the iMessage app on your Mac. The quickest way is by doing a Spotlight search and click the Messages icon under "TOP HIT." Step 2: On the top left corner, select Messages > Preferences. Step 3: Click the "Accounts" tab. In the "iMessage" row, locate the Apple ID(s) you want to disable and uncheck them. Done. Ideal Use: you prefer text communications via your phone, and you don't want any iMessage texts or visuals to show up on your Mac. Step 1: open Preferences in the Messages app (as shown in Method 1). In the same window, just click the "Sign out" button next to your Apple ID. 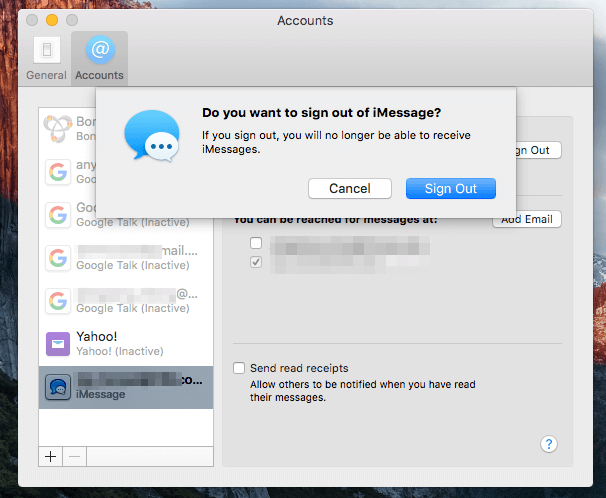 Step 2: Confirm the operation in the new pop-up asking "Do you want to sign out of iMessage?". That's it. Ideal Use: you are busy working on a project, and don't want to be interrupted by these messages temporarily. But you'll use the app on your Mac later. 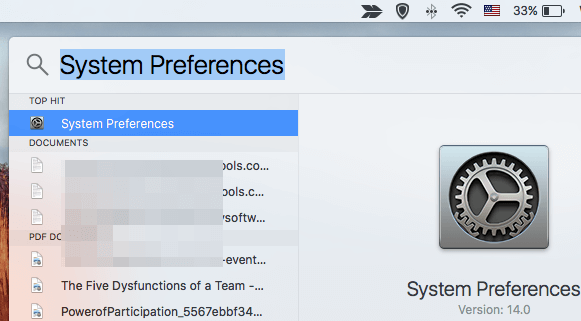 Step 1: Launch the System Preferences app. Again, the easiest way is by typing it in Spotlight search bar. If you have added it to Launchpad, just click the icon to open the app. Step 3: Scroll down and locate "Messages" on the left sidebar. 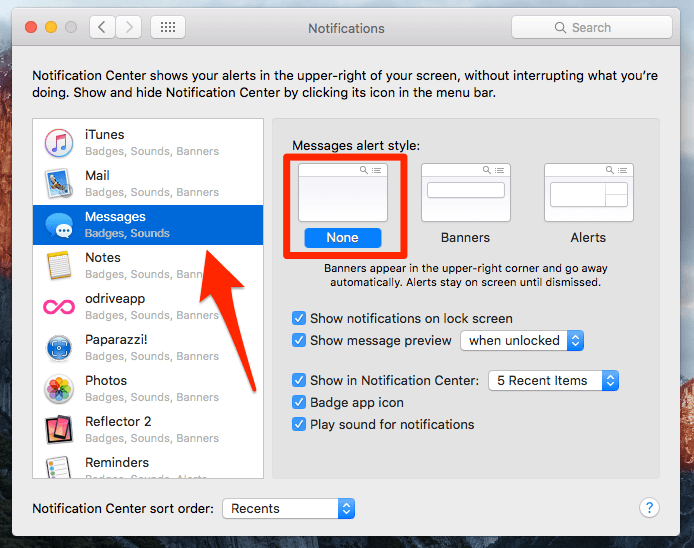 Select "None" under "Messages alert style" (note: by default, it's on "Banners"). Done. I have been an Apple fan for quite a while. No doubt that the company has produced the world's best computers and phones. But in recent years, Apple has been pushing integrations between macOS and iOS. I'm not sure whether Apple is doing this to make its products work more seamlessly. Somehow I dislike some of the new features, one is this iMessage "issue" — it may be useful for other Mac users, not to me. I think it's more like a distraction. Many other peers have similar feeling, and some even noticed that enabling iMessage actually slows down a Mac. 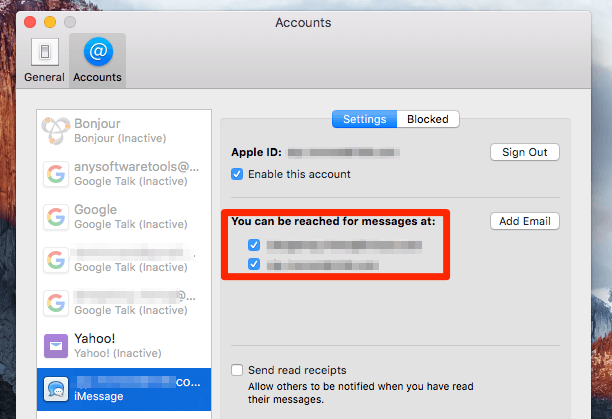 The good thing is disabling iMessage on Mac is an easy task, as I've shown you three different ways to get that done. As per #Method2, If I sign out the Apple ID can my son still get my iMessage? No, unless he knows your Apple ID and password.